You really want some carbs? OK; Einkorn is the earliest form of wheat and dates back thousands of years. It is the bread of the bible and although it contains gluten, it is tolerated by a wide variety of people. Einkorn grains are about half the size of the wheat you find these days and contain just two sets of chromosomes compared with forty-two in modern hybrid wheat. 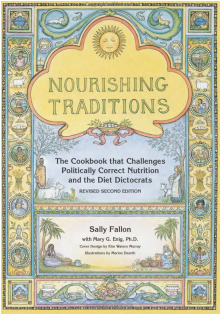 The very best way to prepare and bake using Einkorn is by using Sally Fallon's methods (see book below) or reading up on sourdough recipes, but here is a less time-consuming alternative which still gives a delicious loaf..
Einkorn creates a stickier dough and needs less kneading simply because it contains less gluten. Because of that, it's best to start with a lightly oiled bread tin for baking that first loaf. As you get to know the dough you'll get the knack of working with it to make bread rolls etc. It tastes not unlike other wholemeal type breads but its digestibility is far superior. First... dissolve the yeast in the lukewarm water. Then mix all the ingredients slowly in a mixer. Einkorn, being less glutinous is very sticky and difficult to work with your hands. After leaving the mixture to rise slowly for 2 hours, I suggest spooning the sticky mixture into a pre-sprayed loaf tin before leaving to rise for a further hour in a warm place. Heat your oven to the highest temperature before placing the bread in the oven - then reduce to 200C and cook for 35-40 minutes. As usual, put a glass of water into the oven tray at the base of your oven to create steam which helps the upper crust of the bread. Empty upside down onto a wire rack to cool and crisp up the base. The recipes are pretty fantastic, as well, although be warned! This is a book for those who are serious about improving their health. Good, health building food does not keep for 3 years in a cardboard box on the supermarket shelf, it can't be microwaved in 5 minutes, and it can't be replaced by a synthetic compound in a pill... "